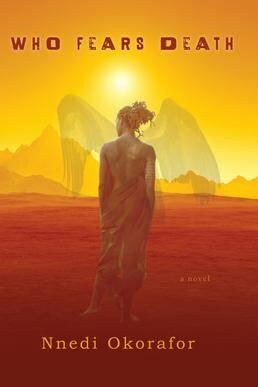 Nnedi Okorafor interviewed about her new HBO series with George R.R. Martin, her work with Marvel on Venom, her TED Talk and African Sci Fi. Nnedi Okorafor rejects attempts to define her work as one thing or another. Instead, she calls herself “a writer of strange things.” Her books merge the genres of science fiction, fantasy, magical realism and just regular realism. And if it wasn’t clear, she’s also a 100 percent “Naijamerican” writer—a terms she finds more true to her experience as an American-born child of Nigerian parents than labels like "writer of African Science Fiction" or "Afrofuturist." This maverick streak has served her well—bringing her radiant novels wide acclaim as well as an HBO series based on her work to be produced by Game of Thrones’ George R.R. Martin. Yeah, that George R.R. Martin. To top it off, she’s also a Professor of English at the University of Buffalo and the author of a new Marvel Venom comic. 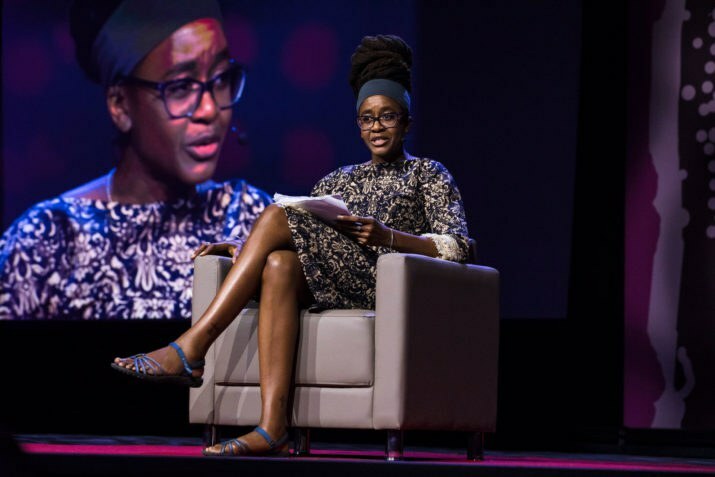 We caught up with Okorafor in Arusha, Tanzania after she charmed the crowd at TED Global with a reading from her book, Lagoon, about an alien invasion of Lagos. Despite our best attempts at making her choose a side, she insists that all jollof is good. OkayAfrica: What drew you to science fiction? 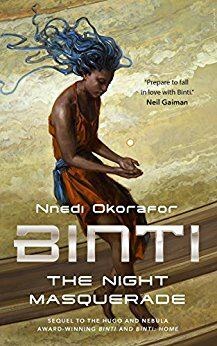 Nnedi Okafor: Most of the science fiction that I read growing up was filled with white men doing white men things—not to say that that's bad or anything—but it just didn't attract me. I started writing science fiction because on my trips to Nigeria I would notice technology being used in ways that I thought were unique and specific. When I saw this, I noticed that this is not how this part of the world was being portrayed in literature. So, that kind of made me want to just do it myself. I started writing it, because I wanted to see it. I wanted to read it. How do you draw from authentic African narratives. Is there a lot of research? There's a lot of research, sure, but I'm a good listener and when we traveled to Nigeria as a child, I found myself just taking things in without trying to take them in. I would notice those things that most Nigerians would see as everyday things. I noticed on your Instagram feed, that you've got an obsession with praying mantis. Yes. When it comes to bugs, especially praying mantises and grasshoppers and anything like that, I just stop. My brain goes somewhere else. I get very distracted. I find them utterly fascinating. There's that. The natural world. You know the wall geckos, right? That's another one I would notice. Most people there are used to them, so they're just kind of there. For me, I would notice them and how they would come into the house, and how they would enter every crevice, and how people just kind of accepted their presence and coexisted with them. I would find things like that utterly fascinating. With technology, I remember seeing some women coming back from the stream carrying water on their heads, and they had cell phones. They were holding the cellphones away so the water wouldn't splash on them. That's like, a very normal thing, but to my eyes, I was like, "Whoa, that's really incredible." It wasn't that I was going around trying to research what I was seeing. Whenever we would visit, I wasn't there to do research. I was there to see family. It would just be a very organic gathering of information, and then, years later when I started writing these stories, it would magically come through. Okay. A lot of African science fiction is described as Afrofuturism. What's your relationship to this term? Afrofruturism is complicated. Most people use it as synonymous with African Science Fiction. That's the easiest way to go about it. My relationship to the label Afrofuturism is complicated because, Afrofuturism is a word, a label that, over the years was typically assigned to African-American visions of the future, and mainly through music—like Sun Ra and P-Funk, and later on like Outkast, with their "ATLiens" album, and Janelle Monáe. That's a really big bird, okay. That's my issue, that Afrofuturism is a label that is steeped in the United States. The roots are African-American and I feel very strongly, that the roots of Afrofuturism—if we're talking about narratives of whatever kind be it visual art, music, whatever—it should be rooted in the continent first. Because that's where we came from, and then we left. Some of us left, and some of us stayed, and some of us go back. That's the root of it. A label can't shake its origins. Not that I have any issue with African-Americans of course. You want to have that conversation, that's another interview. I do think it should be rooted in the continent, then the diaspora, which would include everybody in an equal way; because, we all came from there. That's what it should be. I think the easiest way to define Afrofuturism, is African Science Fiction. That would be making Afrofuturism an African-American thing. That would exclude everybody else. I find that to be problematic. Just because you don't know something, doesn't mean it doesn't exist. Okay, we don't know our culture. We don't know where we came from that doesn't mean you didn't come from anywhere. And, of course, I understand that we don't know our culture, and we have recreated it. That makes complete sense. I think that's one of the beauties of African Americans. I think that the recreation is very important, but to use that as a definition for Afrofuturism, is highly problematic. That can be an aspect of Afrofuturism, but not the root and not the overall definition of it, because it's excluding all the other parts. Not everybody is American. I know that people in the United States can often forget that. That's why, in the United States, anyone who is black, anyone who is of African descent is called African-American, which is wrong. I think that's a reflection of that attitude. We're here at TED in Arusha, Tanzania. During your talk, you discussed the importance of African imagination, which led me to think about science fiction as responsible for technological development. How do you think science fiction can aid the development of Africa as a continent? It can aid the development of Africa as a continent in the way that it has aided the development of many other parts of the world. If you look at all of our technology that we're using, 90 percent of it was first imagined in science fiction. Okay, so, that's classic science fiction, which is predominantly white and male. These men imagined these things while thinking about the problems that they wanted to solve for their own communities. If you take logic—which was not created by the West—and the idea of identifying and then solving those problems to various parts of Africa, you can see where that can go. That's what science fiction does. Especially, indigenous science fiction. African Science Fiction would do that. It would take an issue that is indigenous to that part of the world, and imagine a solution to a problem that doesn't exist. If that makes sense. I don't know if I'm saying that properly. You start imagining it. That's usually the first step towards creating something. You start thinking about it. You start imagining it, and then, maybe someone else might look at that thing that was imagined in that story, and then, actually create it. I think the imagination is a really powerful tool. What do you think has stifled African science fiction? Or, is it stifled? I think in the past, especially, it has been stifled by the West. Western publishing, for example. 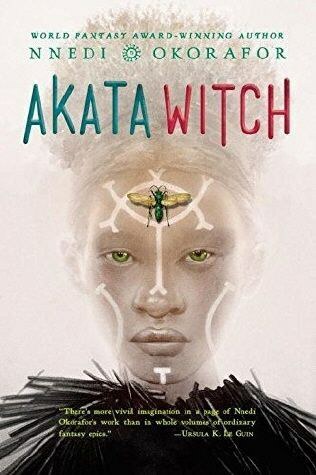 Certain types of narratives are highly published and highly loved in the West, and make lots of money in the West, certain types of African narratives, and those kinds of narratives are not science fiction. I was going to say they're not imaginative, but yeah they are imaginative. They want stories that portray Africa in a certain way—with poverty, disease, war. There's always a place for those. I read them. I love them. But, I do think that other stories need to be told as well. I think a lot of Westerners enjoy those types of stories, because it's just like, "Oh, at least I'm not that." They enjoy it in that sense, and then the exotic Africa, and this is so foreign. There's that. That brings us to the other issue of publishing, where African writers have to look to Western publishers for success, and where they can make a living. In some instances, they might mistakenly put a white woman on your book cover. Yes. That has happened. It won't happen again. You talk about writers in the West, obviously, you're an African of the diaspora. One of our authors published an article about how Africans in the diaspora have owned the narrative, or received an unfair advantage in owning the dialogue around Africa. That there are writers on the continent that are creating exceptional work that don't get the same amount of visibility. Can you speak about the schism between African writers and the diaspora, if there is one? Yeah, this is a touchy topic, because the article implies that it's so easy for those of us in the diaspora to get published. It's ignoring our struggle, and our struggles are different. Our struggles are different, and I think it's more helpful to not try to tear each other down, because of our various struggles, and try to support each other. I think supporting each other is a more helpful attitude towards this issue because it's layered. You could talk about language, and the way that those of us in the diaspora say I'll focus on myself. I speak English in a certain way, you can hear that in my voice. I was born and raised in that area, so I speak English in a certain way. I was educated. I have two Master's and a PhD. I write in a certain way that probably is more easily understood in the West, than someone who comes from Nigeria. You could call it privilege, but at the same time, I think it's more complicated than that. I think there are struggles that I've had to deal with that I don't think a Nigerian writer would have to deal with writing the same thing. I'll get questioned more about what I'm writing. Like, I'm writing stories that are set in Nigeria. There's certain ways that I'm looked at, and questioned. Your authenticity is always up for questions. It's like, "Well, but you're not really here." Yeah. There's a suspicion. I don't know. I just think we need to be supportive of each other. I think that tearing each other down, because of perceived privileges will not lead us to a better situation. I often think that these criticisms are made out of frustration, and they're frustrated with the wrong people. Speaking of perceived privileges, obviously, you've had the great privilege of having one of your books be turned into an HBO TV Series, "Who Fears Death?" How does that make you feel? Is there a lot of anxiety around that? You mentioned that it's taken you a long time, four years in the making, if I'm not mistaken, to have that happen. Can you speak a little bit about how that came about? Yeah. I don't feel any anxiety about it. I got into all of this with zero expectation, so that's one thing. Secondly, "Who Fears Death?" is a brutal book. The people who could do the best job with it, would be HBO. I felt that from day one, I am a fan of HBO. I watch almost all of their shows, and the edginess, and the risk taking with them is incredible, so I've always felt that that was the right place for this book to be. There's been other film interest in "Who Fears Death?" and I always felt that HBO was the place that I wanted it to be. For that to happen, is incredible. Really cool. So, I feel it's in the right place. Yeah. It was four years in the making. It did not happen fast. I got to know executive producers at HBO who discovered the book and actually sent me an email out of nowhere. This was about four years ago. You didn't work with an agent, or an option, or anything happened. They just found you and emailed. They found me first. I remember the email had "HBO" in it, and I'm like "what?" It was very strange, but cool at the same time. That's how we started a rapport, and have talked, and I've gotten to know this particular executive producer very well, and I trust her. I very much trust her vision. Then with George [R.R. Martin—the creator of Game of Thrones] involved, I very much trust him, too. I know him. It's not like they just brought him on. And, what role is he playing? He's the executive producer, so he's like a facilitator. He knows me well. He used to be a professor. So, he's taught before. He's dealt with academics. He's dealt with a lot of frustration. So, he knows the journey really well. He has a lot of wisdom. He's shared a lot of his knowledge with me, and he's also a risk taker as well. He's read the book, and we've talked about the book. We've talked about a lot of things in depth. I'm working with some good people. Yeah, there isn't a lot that I can not put out there yet, so I won't, but yeah, I'm working with some good people. Maybe you'll make a cameo in "Game of Thrones?" next season. That would be funny. Hopefully, not as a slave. Speaking of Hollywood, and what's being made into films, what are your thoughts about "Black Panther?" What I love about the casting is it’s the diaspora. They've got a bit of everybody in there. Dark-skinned black women in there. That's very important. That's always one of my tests. I'm like, "Okay. We've got it great. We've got it all black." Okay, and the next thing I look for, okay the women, okay how dark is she, okay, all right, we're good. I think visually, it looks like it's going to be incredible. I think the writers, the script writers are also black. I think that "Black Panther" will be special. There are some issues that I have with "Black Panther." We'll leave that at that. You know, me with my big mouth it will come out eventually. I've kind of Tweeted about it in the past a little bit. Okay. We'll have to dig that up. Dig that up. Great. Luckily, it was a while ago, so that's hard to dig up. It's a film that I feel must do well. I feel the pressure, because it has to do well, because a lot is riding on it. I know the way Hollywood works. The stakes are always higher for this type of film. It's so high. If it does not blow everything out of the park, oh it's a failure. And, if one film like this fails, then therefore, every one after it shall fail. Which I don't know where that mentality comes from, but that's only applied to us. I feel like it needs to do well. It needs to do well, not just for all the creators that are involved, all the incredible creators that are involved in the project, but for those who will come after. It needs to do well. I mean, visually, it looks great. Yesterday you talked about "Martha Washington." Can you tell us more about that? "Martha Washington" was written, I believe, by Stan Lee. It was in the 80s. All of the issues have been brought together in this big anthology. It's Afrofuturist. It features a black woman, a black female main character, and it's done by Marvel. No one ever talks about "Martha Washington." I find that odd. I would love to see a "Martha Washington" film. That would be incredible. Where, it's done well. I think that's one that's not talked about enough. What were her super powers? Oh, man. I can't remember. It's been so long. I'd have to look again. It's funny. I think there is also a Haitian Voodoo character. Dr. Voodoo, or something like that. I don't remember. So, I guess in some ways Stan Lee is an Afrofuturist, I guess, right? Or, do we not give him that title? I wouldn't go that far. No, that is not earned. Okay. Sorry, Stan. I also want to ask you about, obviously, you're working with Marvel on a Venom comic. Can you tell us a little bit about that? Okay, so the comic I'm working on is eight pages, so it's short. It's going to be featured in an anthology. Venom is symbiote. It's an alien. I like to say "it," I think it's referred to as "he" sometimes. It is an alien that needs to bond with a human host. When it does bond, the host becomes incredibly powerful and monstrous, like super. You see it first on "Spider-Man." That was why I wanted to write it, because I remember I was scared of that. I couldn't even look at those images, because they were terrifying. Venom verse is where Venom bonds with different heroes in different universes, so in each of these stories, anything could happen. They're not directly in the Marvel universe, so they're different parallel universes. They came to be with, "Oh yeah, would you like to write a short in the Venom verse anthology?" For me, I'm very much about freedom. I like to write my own characters. I like freedom. I find working within something to be a little bit confining to me. And, they'd been asking me to do different characters. I was just like, "No, no, no." But, this one caught my eye. Venom, one is an alien, so there's that. I like aliens. Two, I knew I'd seen Venom on "Spider-Man" and that terrified me. When, something terrifies me usually I'll do something good with it. They asked me to come up with something, and what I ended up coming up with was different from what probably they expected. It didn't involve directly one of the Marvel superheroes. It involved this girl in Lagos and she was in a wheelchair, and she encounters Venom, and Black Panther is there, but he's not the main character. She's the main character. That's how that came about. Because it's in a different universe, I could do whatever I want. I'm just going to say that for when people read it and see what I did. I could do whatever I want. I make no apologies for what I did. Now, we gotta wait for that to come out. Lastly, what I want to get from you is, how do you think we get more young writers writing about science fiction? What advice would you give to young writers who want to have a platform like yours? I would don’t say focus on trying to do what someone else has done. Instead, "Be interested." That's a very vague thing. I say this vague thing, because it is vague. When I started writing this I didn't think, "Okay, there's been nothing written like this. Let me write science fiction, because that's new and different. Let me set it in Africa." I did not think like that. I just followed the stories. I just wrote these things, and they became what they became in a very organic way. I think that new writers should search for their voice. Don't focus on trying to become that thing. That comes. Do the work. Write the stories, and enjoy yourself. Enjoy the stories that you're writing. Observe the world. Have an opinion. Let that opinion manifest itself in stories naturally. Don't try to force it. Don't try to look at what other people are doing, and then just think, "Oh, I want that," and then, try to do that. It needs to be organic. If you want it to be really powerful, it needs to be organic. Imagine and think. Let me stress the writing. The work of it. Write many stories and then write more. Don't look for other people's approvals at first. Write what you want to write. Enjoy what you want to enjoy. That's really my advice, because if you go with the trends and follow trends, you're just going to reproduce something boring, and stifled, and just lifeless. I think that those are my main bits of advice. I clearly have very strong opinions on this, because I want to see new writers come up that are dynamic. I get frustrated. One more thing, don't look for mentors. Give that up. Because you're saying people shouldn't go in your DM's, asking you for mentorship? When it comes to writing the only way you can do it is yourself. First of all, let's say you have, and you find some super famous whatever, and that person holds your hand. They say, "No, do this." You're not learning anything. You're not making the mistakes. There's something about finding your way without someone else showing you, that teaches you far more, and makes you far more. This whole mentoring thing, because I just keep hearing about it and I'm like, "What is that?" I'm glad I didn't do it. I didn't really have any mentors. With George, that came much later. I'm fully established. I've already published how many novels before I met him? I've got people asking me to teach them to write, and I'm like, "Really? Do the work. Just find your way. Read." You've got to read, and don't read like, "I'm studying this so I can write like this person." Read to enjoy it, because if you don't enjoy it, you can't make someone else enjoy what you write. You don't even know what that's like. These are things that I feel very passionately about, because I didn't have any mentors coming up. I'm glad I didn't, because I think I learned a lot. I was able to teach myself a lot. And that's how I came up with my own voice, because I didn't have anyone else telling me. I had professors who tried. I didn't agree with what they were saying, and I'm like, "I don't write like that author. Let me just do it this way." I think that's my biggest thing. Awesome. 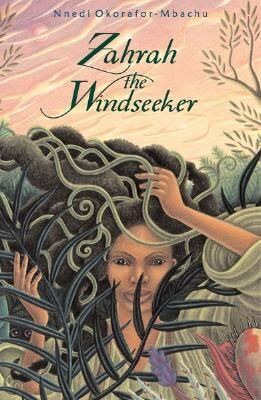 This has been great, Nnedi. Thank you very much for your time.